Wi-Fi access on ALL Northstar cars! 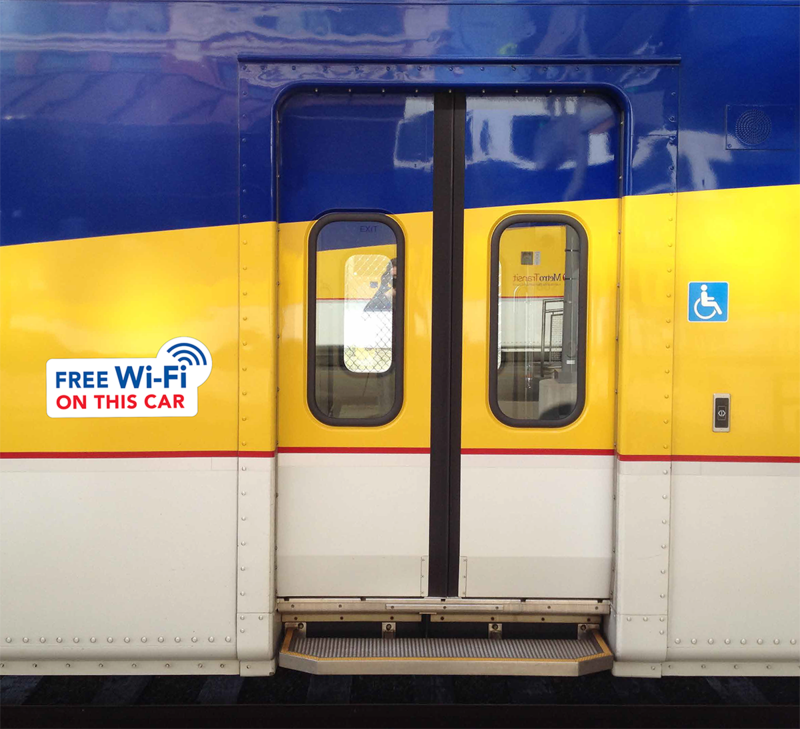 All Northstar Commuter Rail trains feature FREE Wi-Fi to keep you connected while you ride. You can check email, download documents or search the web (sorry, no streaming). Connect your device to TransitWi-fi, agree to the conditions and you’re ready to go! Turn your commute into get-it-done time. Finish that presentation, text away (safely - at 79 mph!) or fire up your Kindle. Rely on Northstar Commuter Rail to get you there in any kind of weather. Free Wi-Fi will keep you connected while you ride.